That’s it. 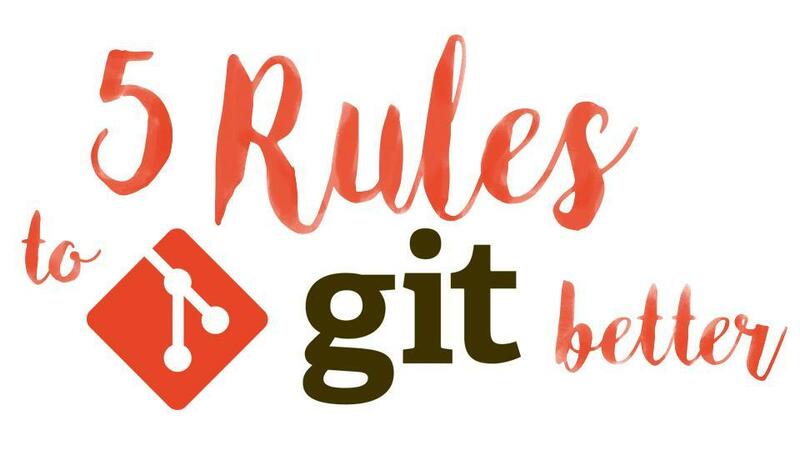 Those are 5 basic rules that help you fix or enhance your workflow with Git. And now let’s get into some more detail. A commit can’t be too small; it can only be too big. This is the same rule that applies to programming in general, where a class or a method should be kept small. Whenever creating a commit, think about the Single Responsibility Principle (SRP) as well. Does the commit change only one thing or are its changes all over the place? Make your commit as concise and cohesive as possible. Another way of thinking about cohesiveness and SRP is that a commit should be revertable. When reverting the commit and the changes affect later changes or different aspects then your commit violates the SRP. Describe why you did it if it’s not obvious. Many times you or some other developer will look at code where its purpose is not obvious. In this case having the possibility to git blame and read a meaningful description of the change is very helpful. Keep the first line short (not more than 50 chars). Many tools such as Github and graphical git clients strip the subject after 50 characters, and people working on the command line are better off with text which is not too wide. Use the rest of the commit message to describe the commit. There’s no restriction on the format nor the length, so be as descriptive and informative as possible. Though not required, it’s a good idea to begin the commit message with a single short (less than 50 characters) line summarizing the change, followed by a blank line and then a more thorough description. And if you’re not convinced yet, read the following readme section by Linus Torvalds, the inventor of Git. Avoid merging whenever possible. Merge commits are usually meaningless and just clutter the Git history. Only introduce merge commits when they actually do something useful, as e.g. when merging a pull request or a feature branch. In this case, they make the history more readable by providing a point where a certain feature was introduced. Also, they facilitate reverting a whole merge. Merge commits such as “Merge branch ‘master’ into […]” are totally worthless and just show that the developer was too lazy to rebase. Whenever you’re syncing a branch with another one, always rebase. Also for git pull you should set your config to ‘use rebase’ instead of merge. But, there are also situations when rebasing should not be used. Don’t rebase published changes. You should never rebase commits that someone else might have already consumed. You should never change the history of origin/master. For feature branches which are work in progress, it’s totally fine to rebase, as long as you work alone on the branch or your team is aware of the fact that you rebase. As soon as they land in master, the commits must not be changed anymore. If you adhere to rule 1, every commit is meaningful and documents your work. Squashing removes a lot of valuable information about the history and all the changes done to the codebase. Squashing is useful when you have commits that semantically belong together, or if you have commits that amend other commits. So squashing (or interactive rebasing) is useful whenever a commit is not meaningful on its own. When some code is not used anymore or even not used temporarily, don’t comment it out. Remove the code and create a commit for this. If you adhere to rule 1, you’ll have a commit that you will find again later in case you need that removed chunk of code back. 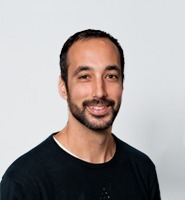 Leaving commented out code in your codebase only degrades maintenance and readability of the code. And by the way, a lot of commented out code will never be considered again anyway.